We make a living by what we earn…we make a life by what we GIVE. THESE KIDS ARE WAITING FOR YOU! It's not as scary as it sound.... good lacrosse coaches are those that are successfully coaching other sports, such as soccer, basketball or football. And in the 6U & 8U Game, most of our parents have never played the game, however learn the fundamentals for a positive and fun season. The game is easy to learn and most coaches say they love spending time with their players. New Coaches are welcome at all age levels! Coaches are parent volunteers combined with LAX IQ (college or high school LAX player), so game knowledge and skills competency are quickly acquired. All teams have a Head Coach and Two Assistant Coaches. All Coaches require Positive Coaching Alliance (PCA) training. 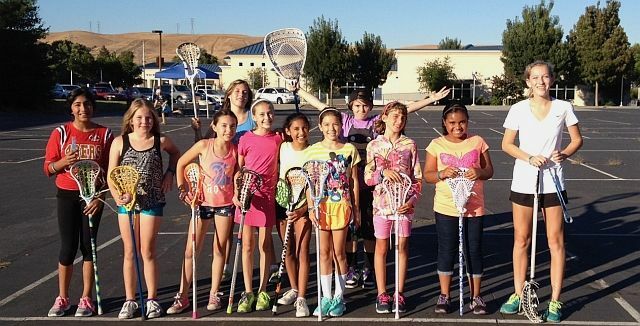 US Lacrosse and the PCA are partners in a nationwide endeavor to make lacrosse a positive, character-building experience for every athlete and to make the experience a more successful one for coaches, parents, fans and officials. All Coaches require a background check, conducted by the National Center for Safety Initiatives. All Coaches required to complete Northern California Junior Lacrosse Certification & align with the Coaches Code of Conduct. All Coaches will be certified and provided a Coaching Badge to be worn at all games. Coaches are supported pre- and in-season with a Coaching Director to develop their practice curriculum and game strategy. All Coaches receive the US Lacrosse Rules book, along with the NCJLA Lacrosse Rules and Game Day Protocols. Coaches are supported by a Team Manager and Volunteer structure so COACHES CAN COACH!